Remember Face Unlock from Ice Cream Sandwich? There’s a screenshot of it above, along with my dog Thor. It was okay as an unlocking method, but not ideal. These days, Google includes Trusted Face on phones, which is part of the Google Play Services package. 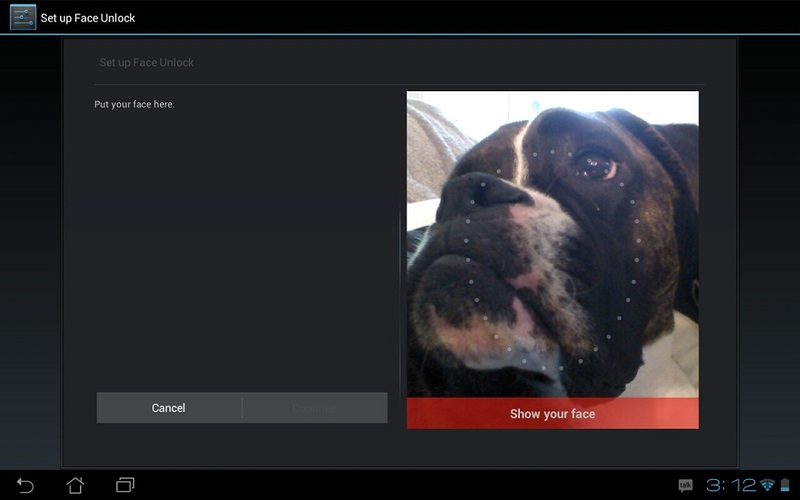 Additionally, some OEMs, like Samsung and OnePlus, include their own facial unlocking software on devices. According to XDA, Google is working on a completely new facial unlocking feature for release in Android Q. As XDA details, this new facial unlocking feature will not only be able to unlock your device, but even authorize the purchasing of goods. That means if holding your fingerprint to the phone or typing in your password is too much work, your gorgeous face can do the work for you. Also, it’s expected that to take advantage of this new feature, the phone running it will need to have dedicated facial recognition hardware, not just front-facing camera(s). Think iPhone with its IR illuminator and dot projector setup that is much more accurate in positively ID’ing a face. For a full breakdown of the code, follow the XDA link below. Will we likely hear much more about this at Google I/O in May? You best believe it.